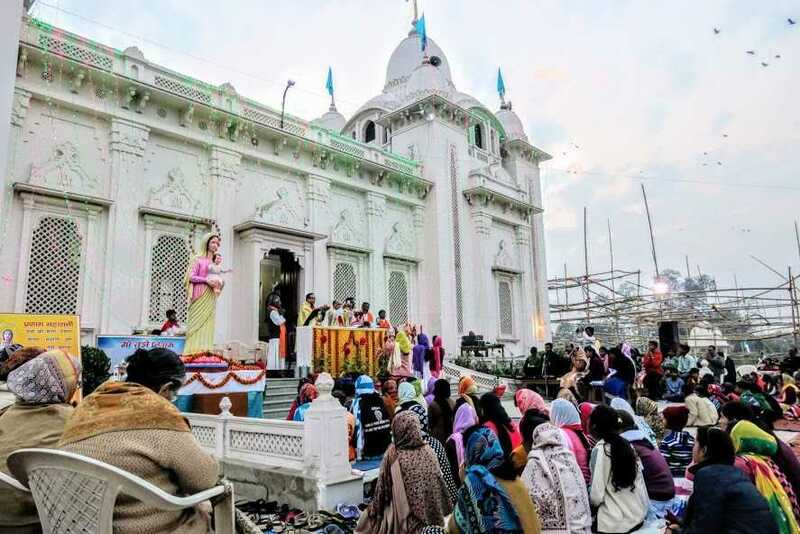 The Sisters and the people of Mokama pray for the people of all faiths as they started the nine-day at Mokama shrine of ‘Our Lady of Divine Grace’ at 3:15 pm on Jan. 27, 2017. The nine-day novena will culminate on Feb. 5, 2017. People of all faiths come in large numbers from four Archdioceses of Bihar, Jharkhand, West Bengal and Uttar Pradesh. The theme of the first day of Novena was ‘Mother of Jesus and Mother of us’. Most Rev. Sebastian Kallupura, bishop of Buxar, hoisted the flag and was the main celebrant for the Eucharist along with seven priests. The prelate reiterated the importance of mother in our lives and thus Jesus gave us His Mother for us. The Barh parish conducted the rosary and novena and the singing. Many faithful offered Mass intentions for their personal needs. There were around 400 people for the rosary, Mass and the Novena. Each day the Novena will be led by different parishes from the Archdiocese of Patna.